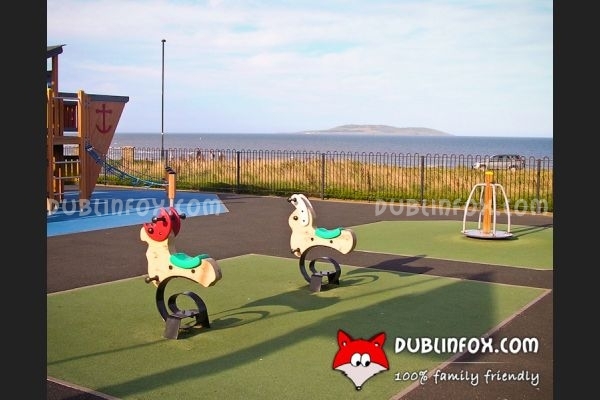 The cute Gannon Park playground boasts one of the most stunning views in County Dublin. 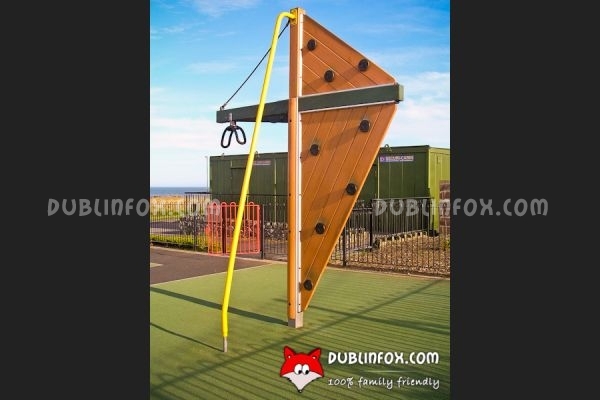 It is rather small offering only a narrow range of play equipment, but the sailboat-like multi play unit is a masterpiece. 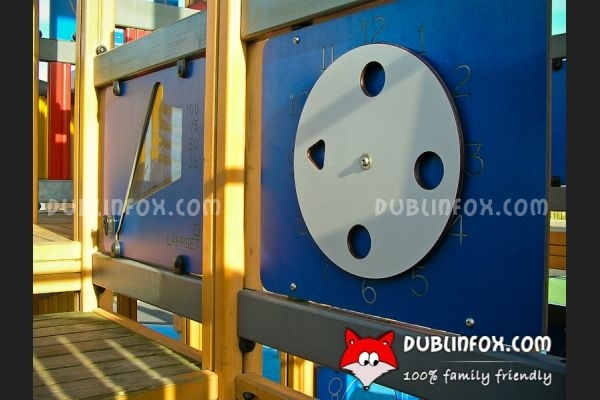 Older kids might find the playground a bit boring, but toddlers will surely love the springers, the spinner (careful! it can be very fast), the swings and the big see-saw. 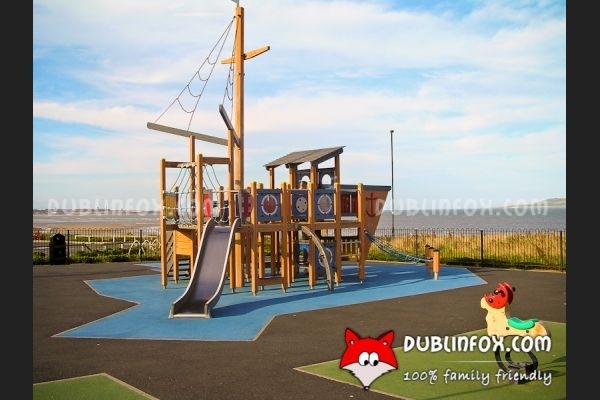 After or before visiting the playground it could be great fun to take a stroll on the seaside on a sunny day. How to get there: It is advisable to visit the playground by car.